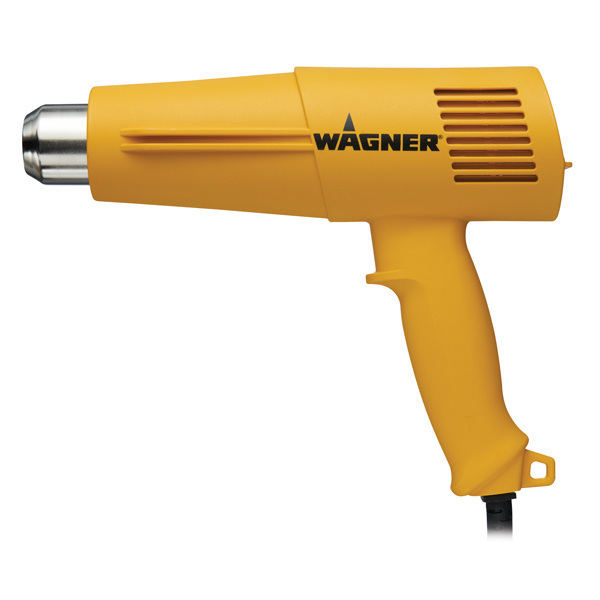 The Wagner HT3500 adjustable Heat Gun is a mid-range tool for DIY'ers who desire more control and flexibility with their heat guns. 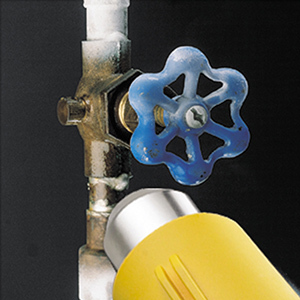 A broad temperature range enables the user to match the correct temperature to the application. The cool down setting helps to preserve the life of the element and will automatically turn itself off. 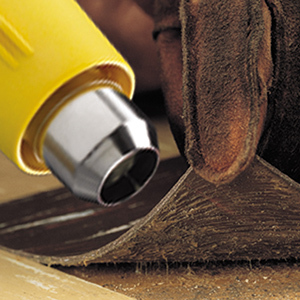 HT3500 Heat Gun is rated 5.0 out of 5 by 2. Rated 5 out of 5 by ToddsReviews from Lightweight and adjustable - I love this gun I've used many heat guns, but this is my first digital gun. This is also the first gun that I've used that has multiple heat settings (well, other than high/low). I think that's great and I really appreciate how the instructions give recommendations for which setting to use based on what you're using it for. Late last fall I was battling cold temperatures while trying to finish painting the barn. I tried drying spots with my heat gun with varying success. I ended up burning and bubbling it in places. Not good. This gun has lower settings for drying paint.Sweet. There are also settings for removing paint, removing stuck bolts (never thought of that), softening plastic, etc. Another really cool feature in my opinion is the auto cool down feature. I've always switched my gun to cold and run it until I feel cold air. My understanding is that if you simply set it down hot it would burn out. This gun lets you set it down and it will run exactly as long as it needs to in order to cool down. It monitors the air temperature. sweet! I think they could have done a better job with the controls. Rather than cycling through modes with two buttons (time tested, but crude) I think they should have used a multi selector knob with each position labeled with a sample application. This would not only make it easier to use, but also eliminate the need to keep a cheat sheet (or the box) with the gun so you know which setting to use. Unless a competing product offers such controls I guess it's not a big deal. Last night I used it for woodworking glue up. I wanted to "size" endgrain, which absorbs glue and robs the joint. Normally I'd have to wait for that first application to dry before regluing but it dawned on me to try the heat gun on low. Wow. That's a great trick. In a matter of minutes it was dried and I could reapply and finish the job. I like the gun much better than my older manual wagner gun and I definitely recommend it. Is there any way to cancel or reprogram the cool down mode? No, once it's in cool down mode it must finish the program. I privately own a HT3500 for several years and use it very rarely. This week (Dec 2018) it failed to function. The blower works, but there is no heat at all. Did the electronics fail, or what? What do you suggest I do to remedy the situation? Unfortunately the HT3500 does not have a replaceable heating element but feel free to contact us at 800-328-8251 for a discussion. I have a HT3500 for going on 6 years now. This unit has been used a lot. Over the course of time the cord has become very worn. Do you offer a replacement cord and if so how much? We do not have a replacement electrical cord for the HT3500. For more help contact us at 800-328-8251. 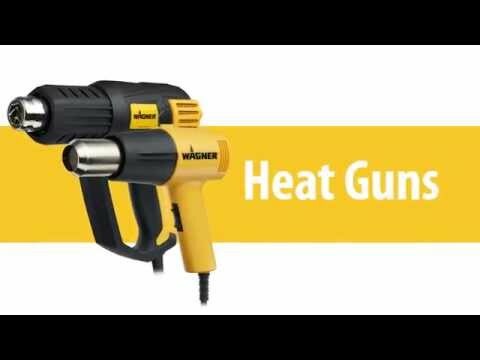 Hi, after how long does the heatgun auto shut-off ? It doesn't shut off based on a clock, it shuts off when the temperature is no longer dangerous. About 1 min or so. Why does gun shut off when on high and above 850? I'm sorry to hear that your gun is behaving that way, as it should not be shutting off on you at all during use. Please give us a call at 1-800-328-8251 and we will happily do our best to help resolve this issue. Will this heat gun help remove glued on 3 inch wide cottage bead board? Unfortunately, the heat will likely have a hard time permeating the board to soften and release the adhesive. Chances are that you may end up burning the board in the process. Feel free to call us at 1-800-328-8251 if you have any further questions. How far will the heat travel and can it heat an enclosed space? I built a clay oven with an interior space of about 200cu.in. To heat it, I use wood to make wood-fired pizza. If I want to reduce my use of wood, could I use this heat gun to heat the cooking chamber? For example, could i set the gun on about 800F, point it into the chamber and let it run until the temperature of the whole cooking chamber has risen to 800F? (The cooking chamber includes a 4 inch thick clay dome roof and a fire brick cooking surface.) I realize this is an alternate use of the tool. I actually learned about your device by watching a video that used a heat gun to roast coffee beans! Unfortunately, that type of application is not anything that we have tested the unit for, and therefore cannot make any recommendations or suggestions as far as doing so. The HT3500 may or may not come with some nozzles depending on who it is purchased from. 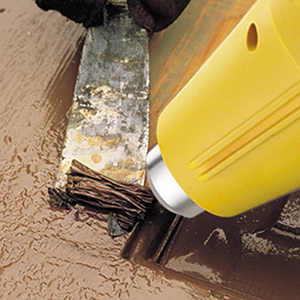 Nozzles are available through us over the phone at 1-800-328-8251 if you were to need them.